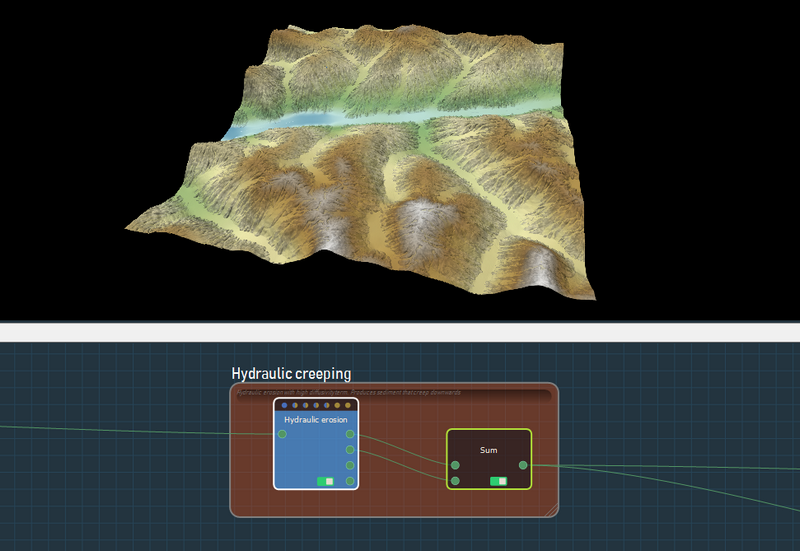 This sample demonstrates the use of the hydraulic erosion simulation to create a realistic terrain, and carve and tweak a river. 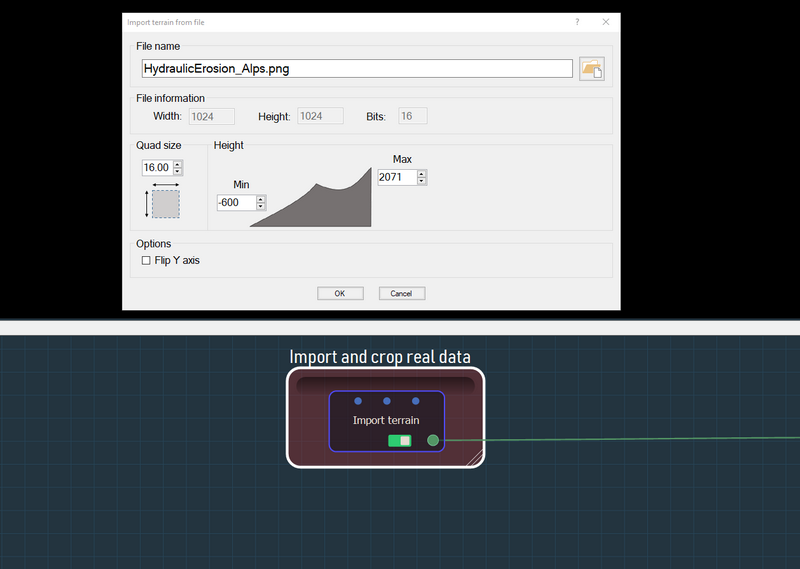 The first step imports a terrain of 1024 x 1024 K and 16 quads terrain from a file. 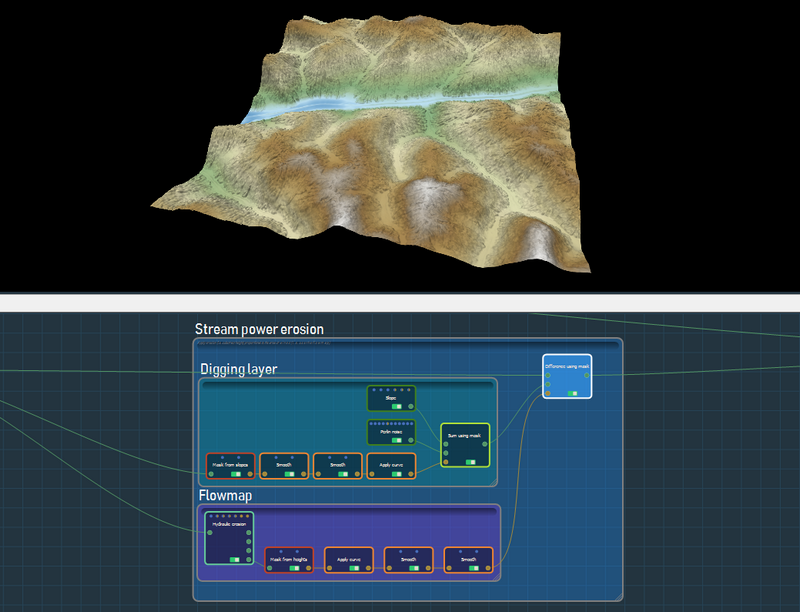 The coarse layout of the terrain is created through a series of mask and terrain transformation nodes, a mask generation node and a terrain generation node, and the results are summed. 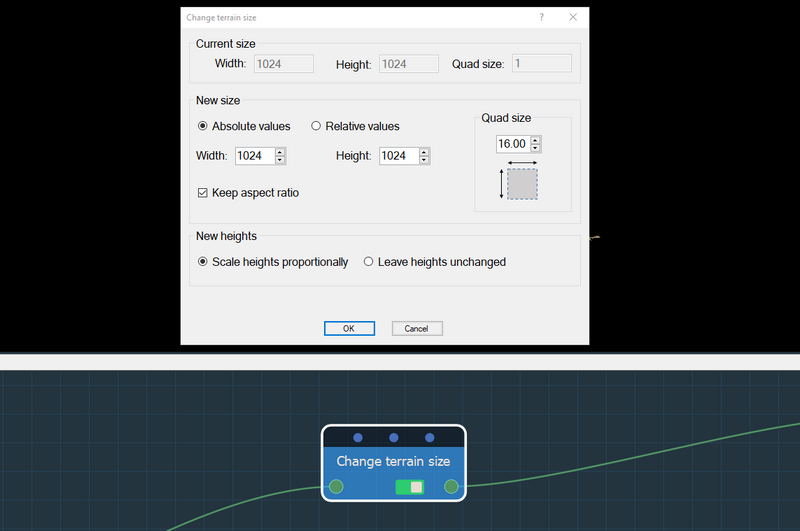 The terrain quad size is decreased from 16 quads to 1 quads in the Change terrain size node. 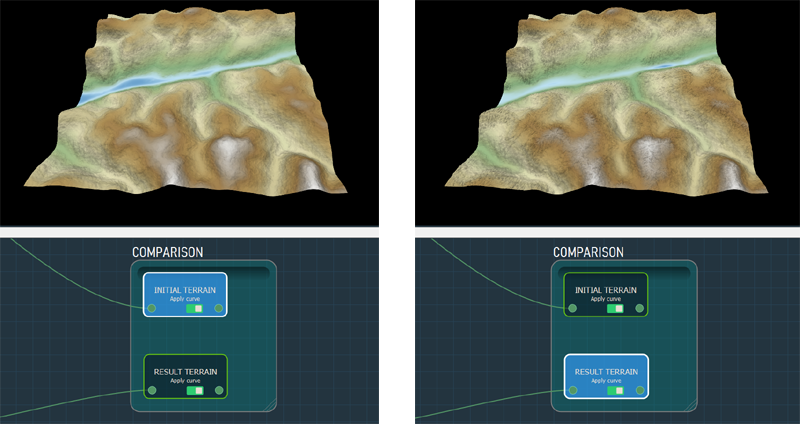 The simulation now acts as if the terrain is 1 km by 1 km. The next step refines the terrain's erosion. It applies erosion (i.e. 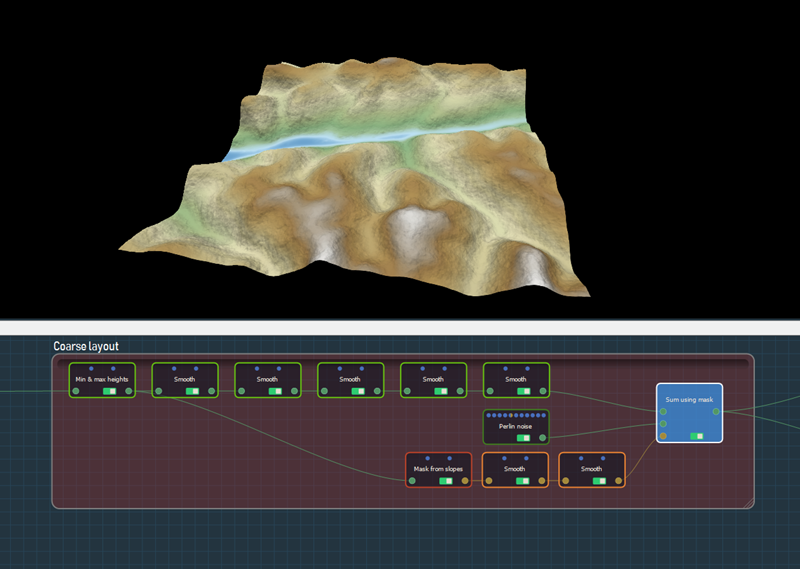 subtracts the heights) proportionally to the area drained, which is the flow map. Hydraulic erosion simulates the slow movement of sediment downhill. 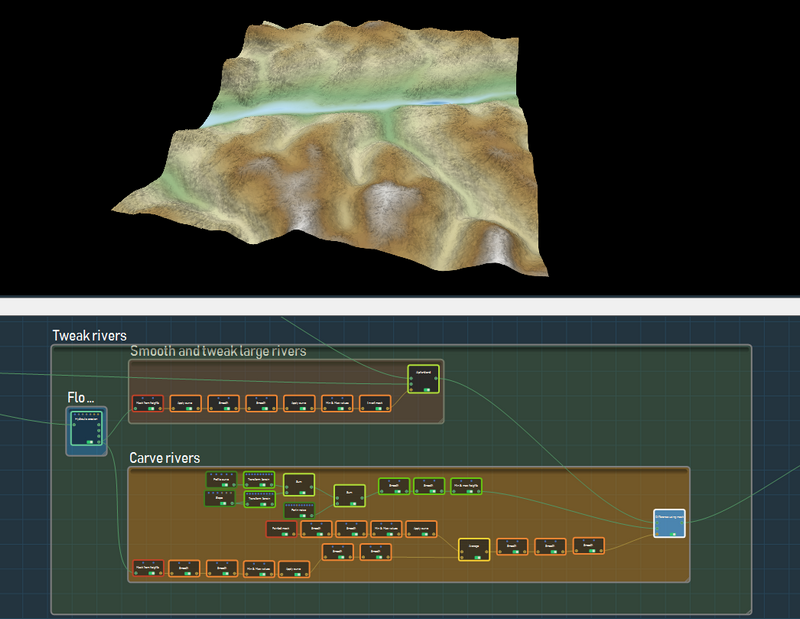 The rivers are carved and smoothed by a series of simulation, and terrain and mask generation and transformation nodes. 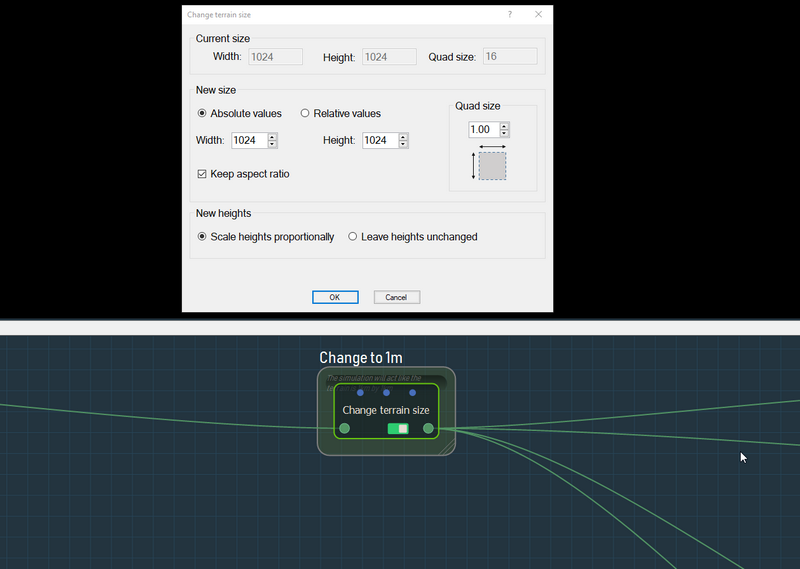 The terrain quad size is re-set to the original size of 16 in the Change terrain size node. 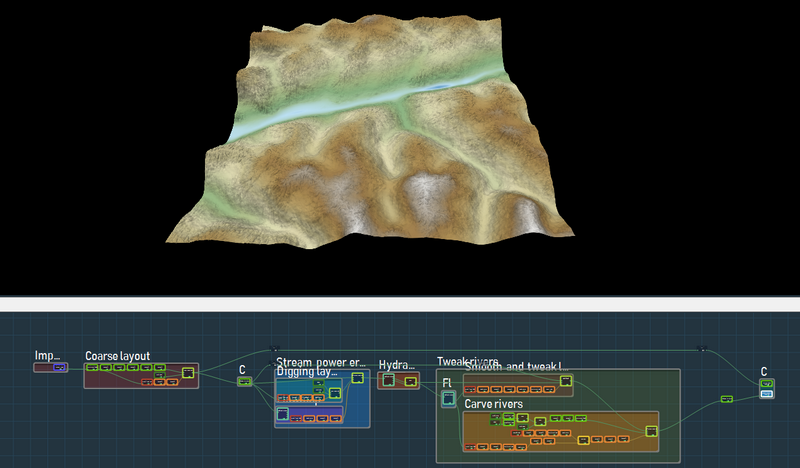 Compare the original and the output terrains in the final two nodes.